Blitzkrieg is a new regular column devoted to the very popular MMO World of Tanks. If you’ve got a topic you’d like our resident expert Matthew “Scope” Pearce to cover, drop him a line! 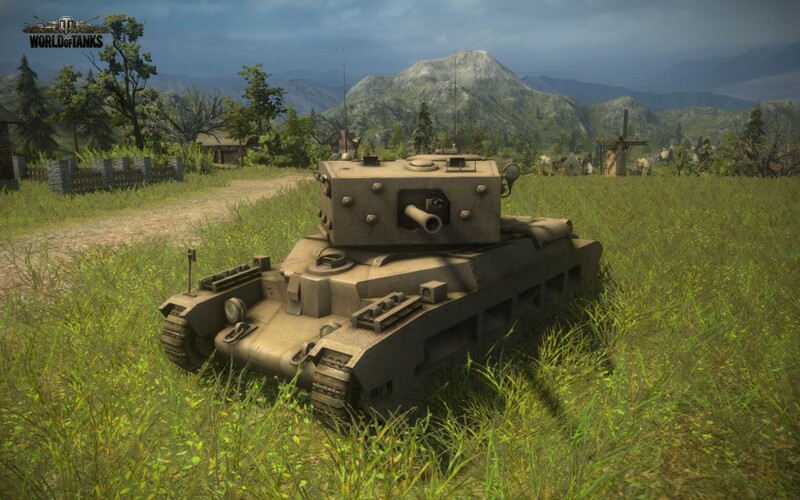 The Matilda Black Prince is the first British tank to be added to World of Tanks, and is similar to the medium tank Matilda supplied by the British to the Russians under the Lend-Lease program that was in World of Tanks before patch 8.0. The new Matilda Black Prince has some big differences, one of the most significant being changes in the turret and gun. The original Matilda in game used the ZiS-96 76mm, which had 65-108mm of shell penetration, making it hard to penetrate tier 5 heavy tanks. The Matilda Black Prince now uses the same QF 6 pounder Mk. V A that the Churchill used as well as the same A27 turret. The Matilda Black Prince is not without its drawbacks however – it shares the same frontal armour as the Matilda medium tank, but has only got 55mm of side armour compared to the Matilda medium tank’s 75mm. 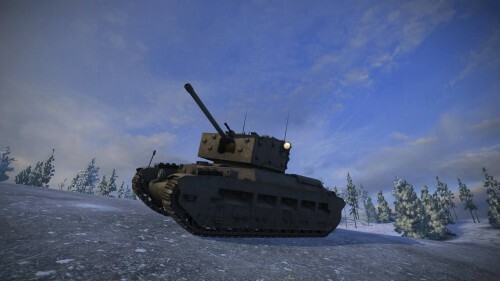 Its engine is also lacking with only 190 horse power compared to the Matilda medium tank’s 274hp, meaning that the top speed the Matilda Black Prince can reach is only 22kmh on flat terrain. With such a low speed, it is usually best to shoot on the move with this tank, and as such I train my crew members in Snap Shot for my gunner, and Smooth Ride for the driver allowing me to fire more accurately on the move. Because this tank is a premium tank, it gains far more credits than normal tanks, and helps the player save credits for those bigger tanks we all want to drive around in, as well as help pay the repair bills. This tank is loads of fun to play and can be purchased for only 1750 gold from the World of Tanks in-game store. sounds like this tank would be easy to flank, so long as u can get close enough without being shot to bits.